I was checking my IRA this month, adjusting my asset allocation to keep me on my retirement target. I love having my Roth IRA because it offers me an opportunity to save for retirement and have some tax advantages. IRAs can be a powerful tool that can help you build your finances, prepare for a better retirement, and get a hefty savings at tax time. However, some people are confused on what they are, how much they can contribute, and the deadline for their contributions. I’ll answer some common questions to help you feel more comfortable using them. When should you start investing in an IRA? As soon as you can, provided that you have an emergency fund in place and don’t have any high interest (>12%) debts. How much can you contribute to your IRA? For 2011, you can contribute $5,000/year or the amount of your taxable compensation. If you’re over 50, you get an additional $1,000 added to your contribution ($6,000/year). Don’t forget that these are for individuals, so a couple younger than 50 can contribute $10,000 into IRAs ($5,000 each). If you can max out your contributions, then please do so. With IRA contributions, there are guidelines for the deduction and contribution limits. If you contribute to your traditional IRA by April 17th, you may be able to claim a tax deduction on your tax return for the amount contributed. Roth IRA contributions, however are not tax deductible since the qualified distributions are tax-free. For your traditional IRA, if you or your spouse is covered by a retirement plan at work, your deduction may be limited. Don’t worry about figuring out these limitations. TurboTax easily guides you through the necessary entries and gives you the appropriate tax deduction to maximize your tax refund. The easiest way to stay on target for your investment goals is to go ahead and automate your IRA contributions. It can be as small as $25/week; the important part if getting you into the habit of saving up for your retirement. You can also set aside a chunk of any bonuses or windfalls you get this year to deposit into your IRA. 2011 is over, but you still have until April 17th to make a tax deductible contribution to your traditional IRA and reap the benefits of a bigger tax refund. How many of you have continued to contribute your IRA? How has it been doing this year? I have a form 5498 IRA contribution inf.. I receive a pension and a 400c disburstment which puts my wife and I into 120k tax bracket. 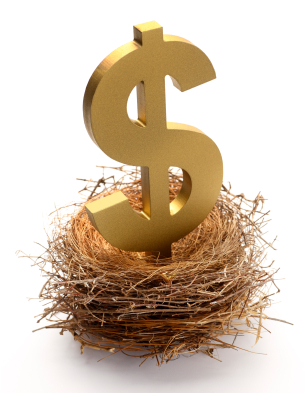 My wife works but not have a pension… can i and my wife make an IRA investment ??? My question is since I received an 5498 (I rolled over my account) I want to enter my contributions so I can reduce my taxes. Can I avoid paying income tax on a traditional IRA by making a charitable contribution to my church? It is very necessary to invest in proper retirement schemes so that we can make our future safe and secure. Self managed super funds are an efficient way to maximise our financial future. My husband and I will be paying in an additional $17,000 to IRS this year. If we paid 6,000 into an IRA, how much would that reduce the 17,000? I have a direct rollover of a 2012 Pension distribution from U.S. Bank to Merryll Lynch. Merrill Lynch notes that IRS Form 5498 is required to reflect the direct rollover. Thank you, very helpful. My problem is that I do not know how to include my IRA contribution using Turbo tax. I am adding to my IRA for the 2011 taxes in hope to get deduction but do not find where or how to do this. i do not do any business. with turbotax. i am a suppored of rush ljmbaugh.